A distant relative of the pegasus, a pegasoar is a horselike creature with wings instead of front legs, and eagle like talons on it’s back legs. 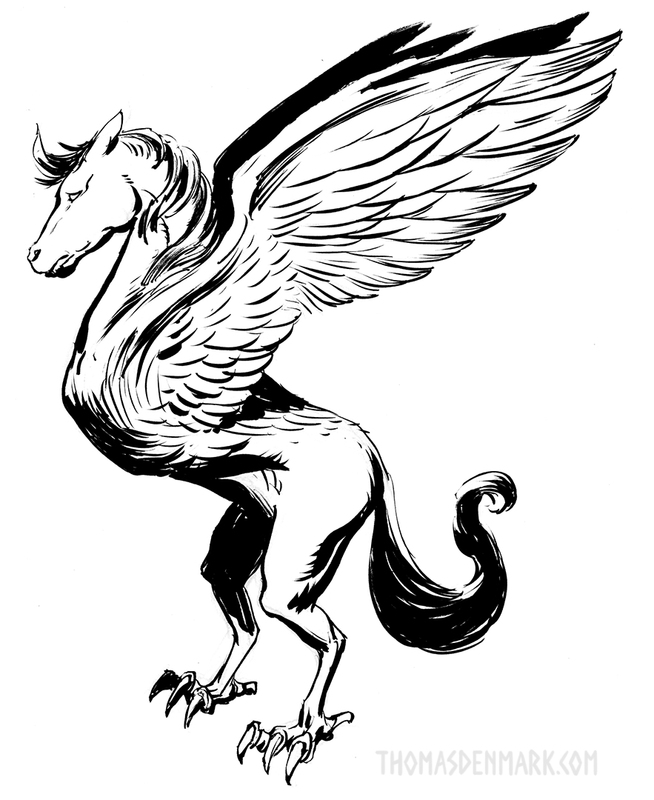 They are extremely graceful in flight and more swift than most other large winged beasts. They are even more difficult to train than a pegasus and not as large or strong, they can only carry a light unarmored rider. Even though they are generally peaceful animals they can be trained to be fierce. Once they bond to an owner they are exceedingly loyal and protective. Miniature ogres have been ensorcelled and shrunk to a tiny size, yet they maintain their strength. The strange sorcery that miniaturizes them also compacts their brains into a more organized and intelligent manner making them relatively smart for an ogre. Miniature ogres measure only a few inches high, so can be difficult to spot, particularly when they are hiding. At best there is a 1 in 10 chance of spotting. The occasional wizard may have a token miniature ogre as a novelty, more often they are found in small packs of 2-12. Over on my other channels where I promote my artwork on Instagram and Facebook I've been posting these fun little explorations of creatures from Norse mythology. I'm creating a little alphabet book, the style is a tad more whimsical than I normally draw. I'm also experimenting with a coloring method that is similar to how the Hellboy comics are colored, with my own style added to it. I haven't written up any gaming stats for them, but I'm considering it. Just takes time and I'm already spinning a lot of plates right now. A is for Aptrgangr. 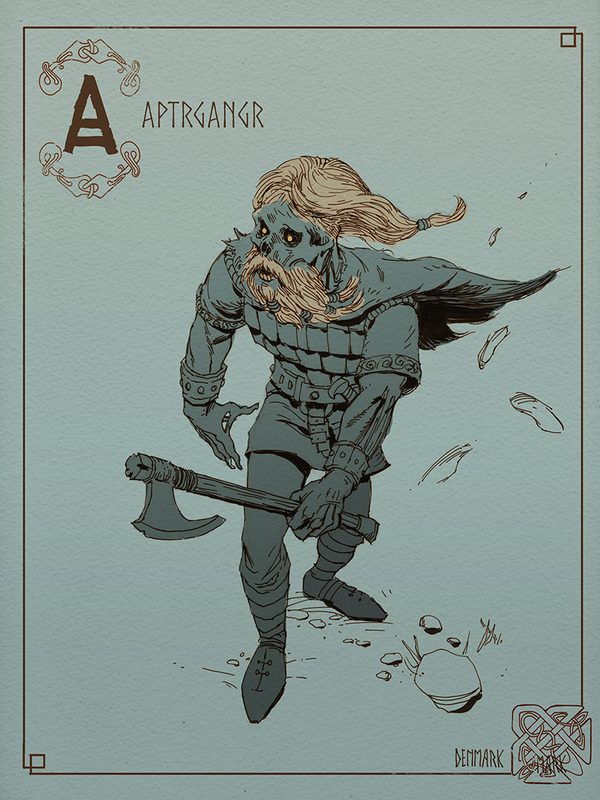 The 'again-walker' also known as druagr are viking undead, who may have come back for vengeance, or to fulfill a pledge, or if he is a son who has disappointed his father. B is for Brunnmigi. 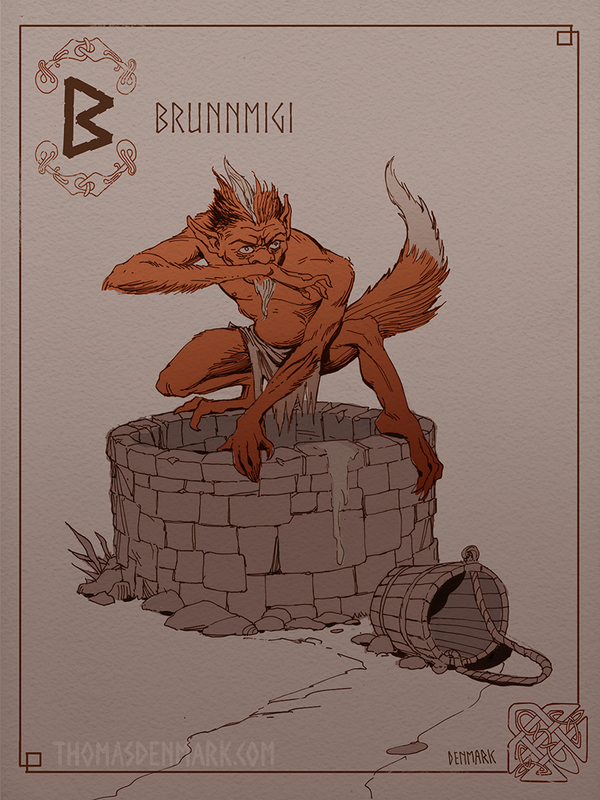 In Norse mythology, a troll like being who defiles wells. It is also a kenning applied to foxes. C is for Changeling. 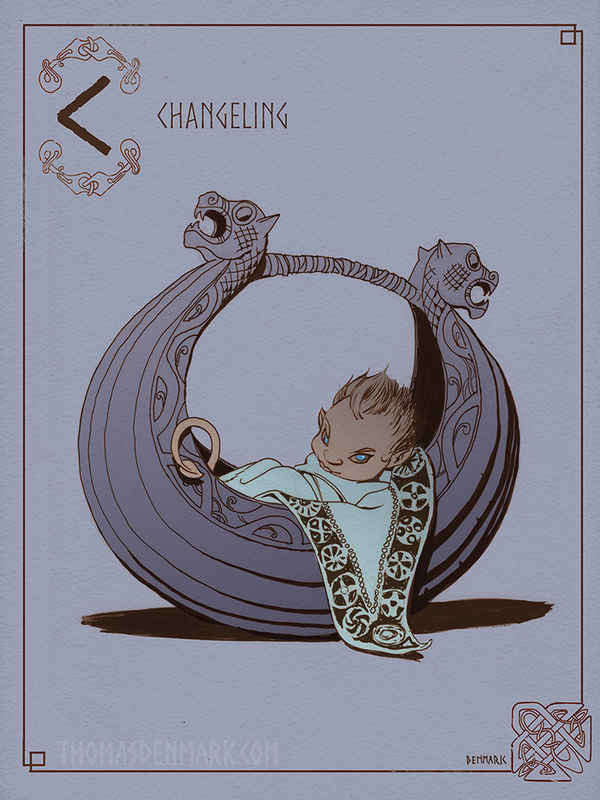 A changeling is a fairy child left in place of a human child stolen by the fairies. You can follow me on Twitter or Instagram if you want to see more stuff like this of my art that is not directly OSR related. 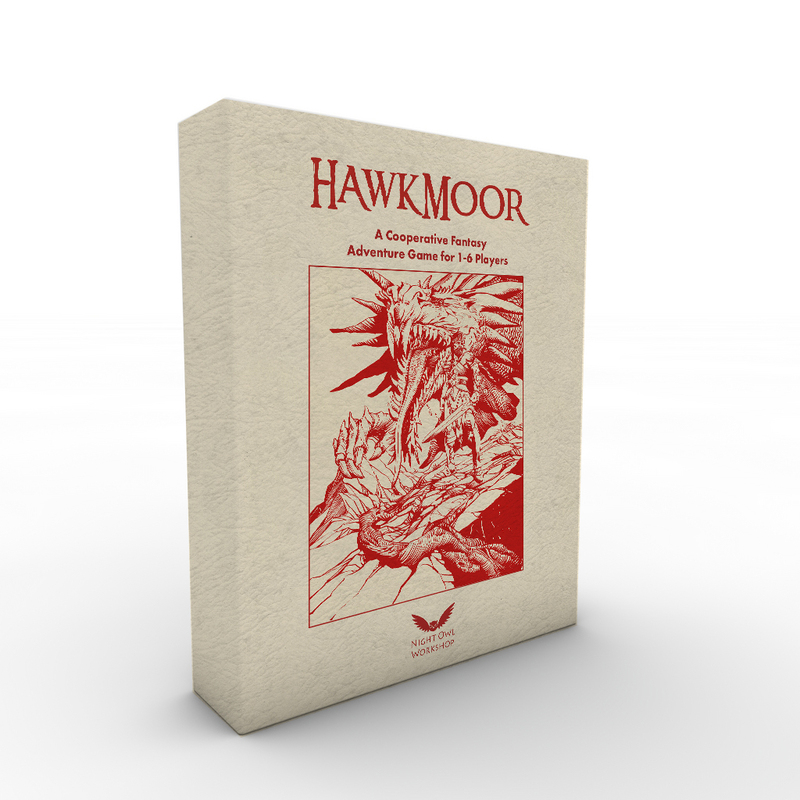 Introducing Hawkmoor the OSR Game! 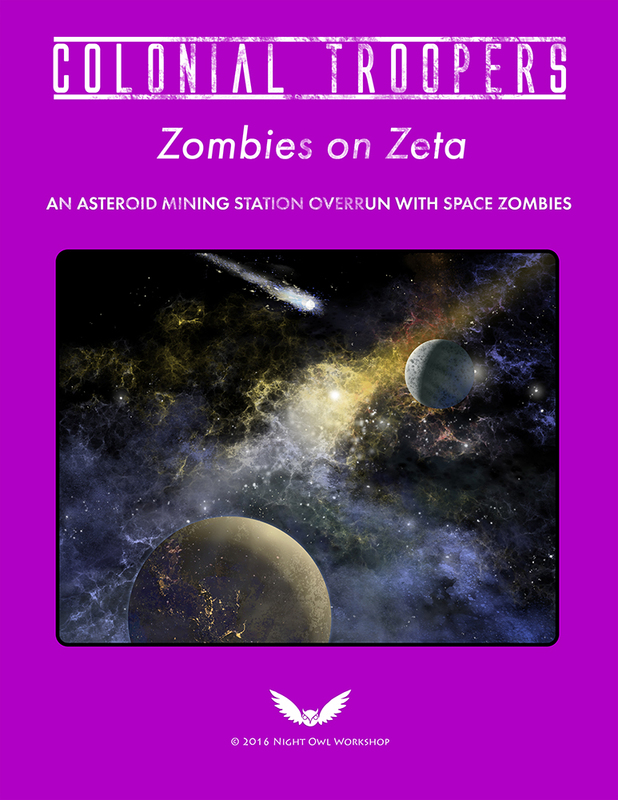 For the past few years I have been working on a game combining elements of old-school rules and boiling them down into a single game night experience for family and friends. Basically the goal was to be able to play the original fantasy RPG without the commitment of a long term campaign, and without complication so that everyone could fit it into their schedule on game night. 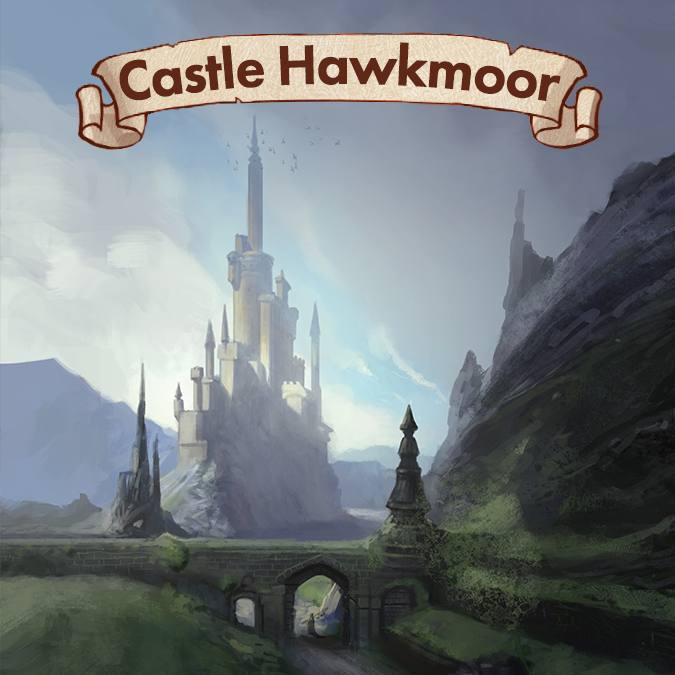 Hawkmoor is the original edition rules you know and love, condensed into a quick simple cooperative game experience. The first goal was to make set up very fast. Whenever starting a new campaign everyone sitting around creating characters takes up most of the first game session. This is one of the longest steps other than the dozens of hours of thought and labor the GM puts into creating the adventure setting in the first place, but I'll get to that in a bit. How do you speed up character creation? You can only simplify the stats and options so much before you start losing flavor, so the fastest way is to use pre-generated characters. I know, not everyone loves pre-gens, so the Hawkmoor RPG book does have complete character generation rules for those interested. 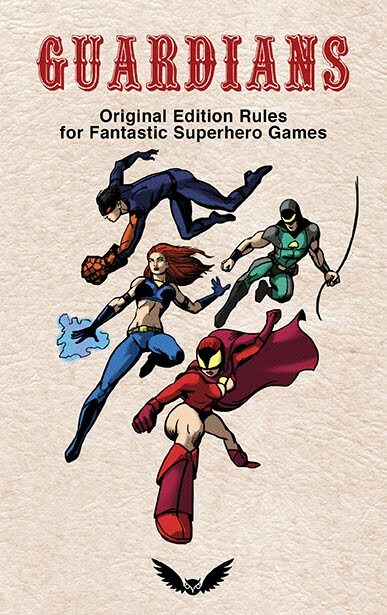 For fast set-up the game has a selection of six basic characters. This led to one of the first big design decisions, putting the characters on cards in a deck that could be shuffled and dealt out randomly or use an alternate system which allows players to choose. This was version 1.0 of the character sheet. You can see a lot of simplification, like ability scores only have their modifiers not their base number. Other stats have been boiled down to Initiative (the boot), Hit Points (the heart), Armor Class (the shield), Melee Attack Bonus (the sword), Ranged Attack Bonus (the bow), and Saving Throw (the star), and everything is baked in; for example no rolling for hit points each level. Also levels have been capped at 5. But why would it need up to 5 levels if the game is only designed to be played in a single evening? Fast advancement was key to keeping the game engaging and have casual appeal. Most of the play testing was done with my kids and occasionally with my game group. And my kids definitely were much more into the game when they could advance their characters quickly. Also, I found older players enjoying it too. 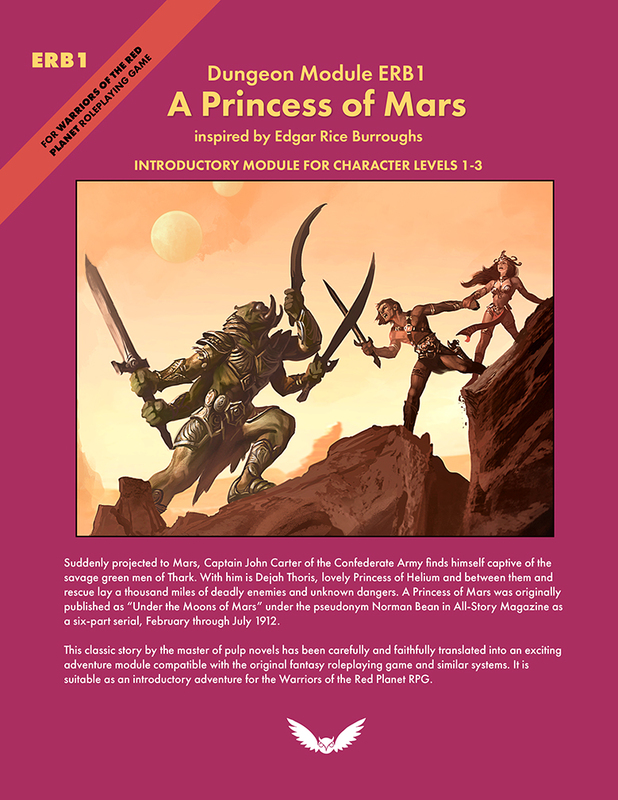 Looking at this character sheet you can see how you could take this card and play it as is in most of your favorite OSR games, like Swords & Wizardry, Labyrinth Lord, Adventurer Conqueror King, or those published by Night Owl; Warriors of the Red Planet (a little elf action on Mars! ), and others. This started out as a generically useful card. And that is character selection. There are six in total: Human Paladin, Dwarf Fighter, Elf Magic User, Hoblet Burglar, Human Cleric, and the Elf Ranger. 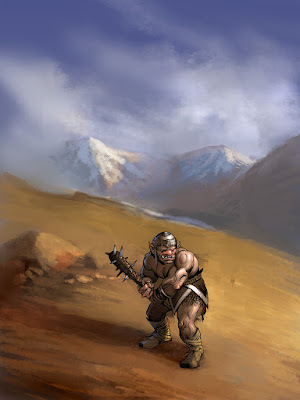 Hoblet is the new character race included in the core RPG book. You might be able to guess what they are like. It's not enough to have a great game system, it should be coupled with a compelling world. I've been developing a high fantasy setting as well to go with it. A world once dominated by a great empire that is now falling into ruin. Skies sundered by dark sorceries and an aerial kingdom ruled by knights on winged beasts. A land that has seen much of its oceans drained leaving vast canyons and deep underground chasms filled with beasts from an ancient time, and their treasure. But, more on that later. I'll be posting more previews in the coming weeks on this game up till publication. Let me know what you think in the comments section below, or join the Hawkmoor group by clicking here and get advance notice and access to other goodies as they are made available. The lurking arachnid is superb at lurking in the shadows and camouflaging itself. They cling to ceilings of dank, dark areas like dungeon passages. They are difficult to spot, only visible on a 1 in 20 when actively searching. It can shoot out its web in a 30’ stream, anyone in its path must Save (add Dex adjustment) or be trapped for 2d8 rounds. Each round a Save (add Str adj.) can be made to break free of the web. Unlike common giant spiders the lurking arachnid is semi intelligent and can coordinate with other lurking arachnids to surround a party and subdue them. This communication sounds like disturbing hisses and whispers. They have two kinds of poisonous bites. The first paralyzes a victim for 1-4 days, unless a Save (add Con) is made. They use this to cocoon their prey. Their most poisonous bite is deadly unless a Save (add Con) is made, they only use this when it is necessary to kill a victim. I keep a Vision Map as my desktop background of mock covers for books I'd like to make. I recently updated it with a schedule for one book per month for 2018. To produce one book a month is my goal anyways. That was my goal each year for the past few years, but I haven't quite been able to hit that rate. Maybe this will be the year! 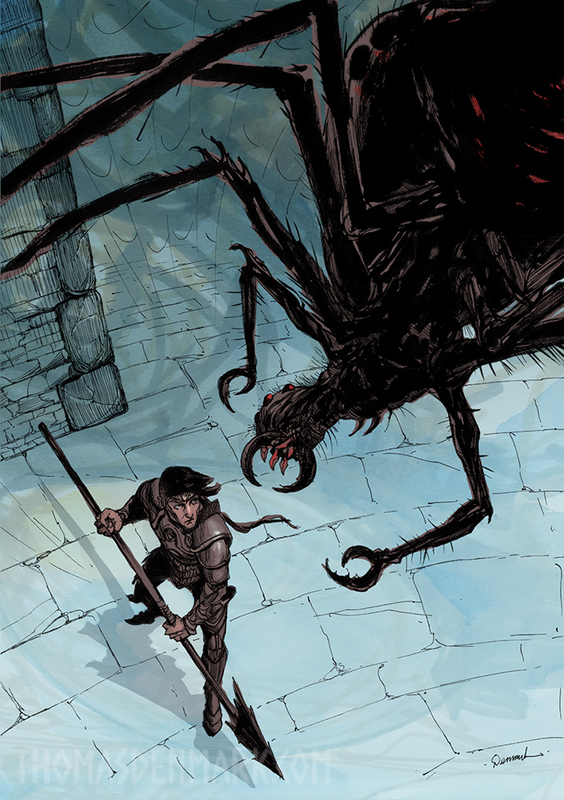 Beasties II is the first book I hope to get out at the end of this month. You've seen a lot of the Beastie of the Week posts here, those will be compiled, cleaned up, and several new unseen creatures and characters added. Also some useful random generation tables in the back. 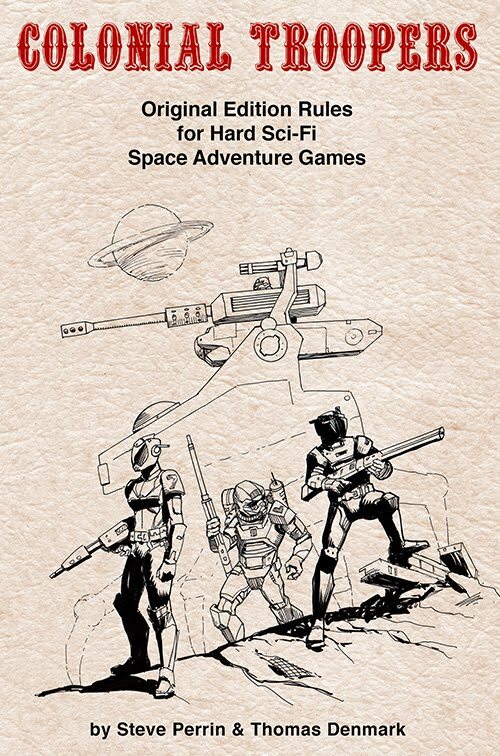 Knight Hawks is the followup to Colonial Troopers. 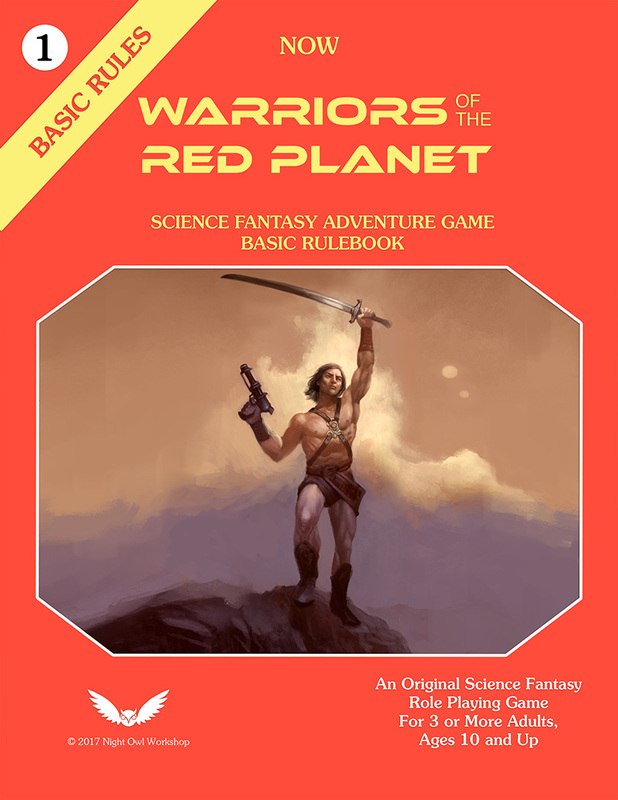 It adds in depth space combat to the basic rules of the core book. This book can be used with any game compatible with the original edition, with some tweaks. It will also have a catalogue of planets and encounters to add adventure locales to experience. Relics & Ruins is the first supplement for Raiders! and will have, as the name implies, lots of relics for your archaeologists to search for as well as ancient ruins to explore. 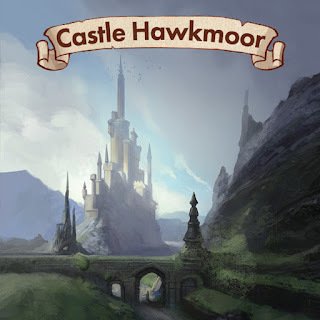 Hawkmoor is the high fantasy world I've been hinting at on occasion. I'll have a more in depth reveal of what it is about, but in short it is a simplified and streamlined original edition inspired game system and a high fantasy world that is more than just a sandbox. This book is a supplement to the main game. Graymoor is a what-could-have-been exploration of the original edition game system that takes things into a different direction. The game will be familiar, in some ways its a little like Unearthed Arcana except that it is a complete core book. If you want a taste of what it is like check out this post about Gygaxian Systemization I made way back in 2010. 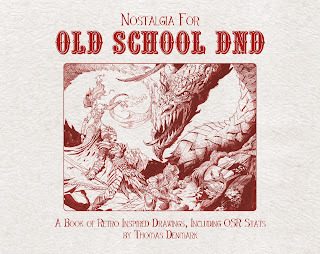 Some of the other books you get a tiny peak of in the image above are a Chainmail homage, a few more world settings in unique genres that haven't been overly explored in the OSR (as far as I know), and some useful game supplements that flesh out some classic adventure environments that can be dropped into just about any fantasy campaign. These are some books that are pretty far along I've worked on, but didn't quite finish. First a version of Warriors of the Red Planet in the Basic Edition style. The other is a mini-campaign setting that uses the Colonial Troopers rules, it is based on an adventure I used to run at conventions so it's been fairly well play tested, the hold up is converting the stats to Colonial Troopers and making art. If any of these look interesting to you, or if you have suggestions for a book I should make let me know in the comments section below. Cheers. This is the part where I write some hyperbole about how wild and crazy the year was. How all these amazing things happened. Well, 2017 was actually just kind of ok. Not particularly bad, or good. 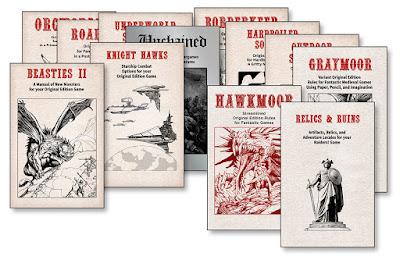 I mean the news had plenty of bad to report, but as far as the OSR gaming world there wasn't anything earth shaking to me, its all been fun and games as usual. One thing I've noticed for this blog is how much the comments section has quieted down. Hardly a peep every once in a while. I don't know if that is because the world is moving away from blogs over to social media, or I haven't written compelling enough, or controversial enough, material to warrant much discussion. Perhaps I'll start offering giveaways and special rewards to random people who post (meaningful and productive) comments. Looking at the top posts of 2017 there was some interesting and entertaining entries that are worth taking a second look at. 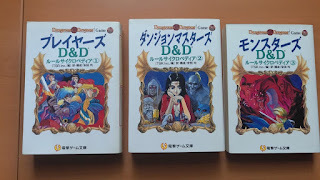 News to many of us, this find on eBay of a unique 3-Volume Rules Cyclopedia that was only published in Japan stirred some interest. The art gave it such a different flavor than any edition published in the USA. How cool if it had been published in English as well? TSR was just too conservative I think, which is partly why it went under. Completely tone deaf to it's customers. Of all the Beasties of the Week I've posted why has this one gotten the most hits? 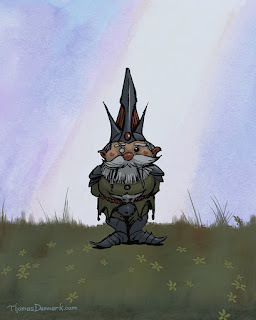 Are there that many gnome lovers out there? I guess the idea of battle gnomes does have a certain appeal to it. 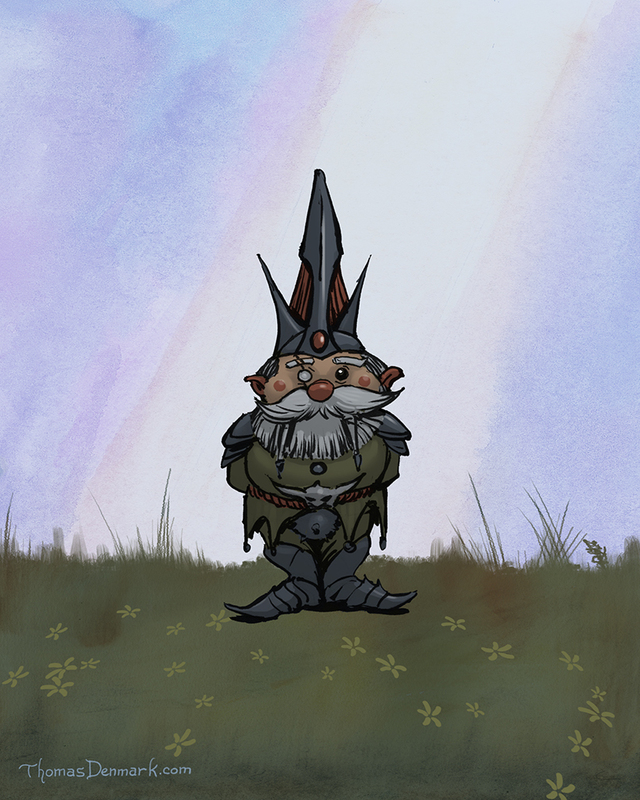 Maybe the contrast between peaceful gnomes and war is interesting. Not too much of a surprise. For those who couldn't make it to Gen Con 50 it was probably a treat to see the retrospective. 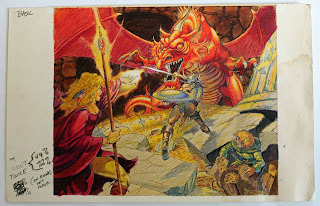 Seeing the original 1e Dungeon Master's Guide cover art was something I'll never forget. And that contract Dave Arneson and Gary Gygax signed for the rights to Dungeons & Dragons was interesting in how naive it was on the part of both parties, Gary in particular. This was a lucky find! And wow, what a blast of nostalgia and what-could-have-been all in the same image. And we get to the top post of 2017. A little mock cover I made as a lark. This one hit a nerve and I think a lot of ERB fans would like to see this one become a reality. I would make it, but my concern is how litigious the ERB company is known to be. I believe that the book being in public domain means it is fair to develop it into products like all the Alice in Wonderland, and Dracula, and Grimm's Fairy Tales, etc. we see made into games, animations, movies and toys. These early ERB books belong to the public and our culture now. Time to set them free. 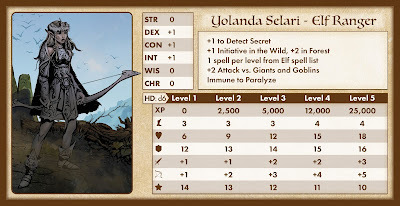 Other popular posts were the free character sheets I made, which you can access through the Free Stuff tab at the top of this blog. I want to do more free downloads in 2018. Perhaps maps? Monsters? 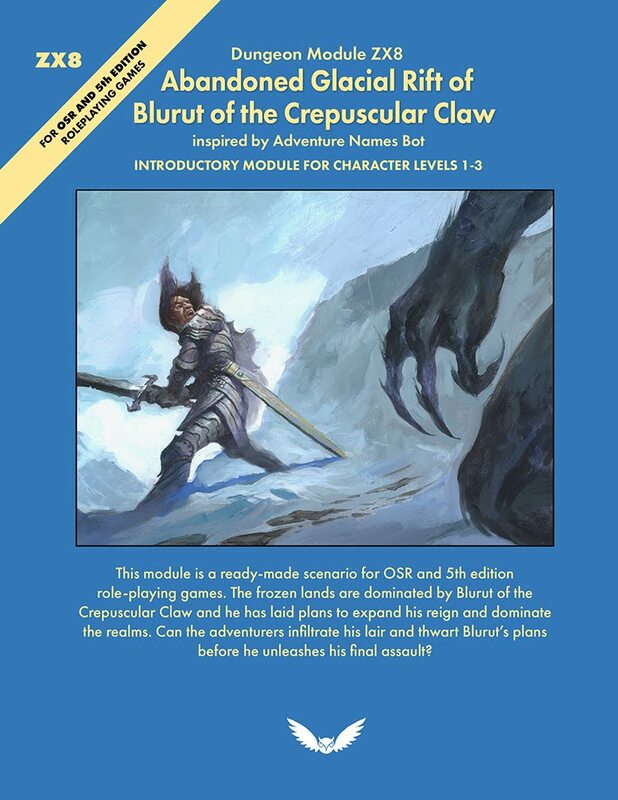 One-page dungeons/adventures? If you have any requests let me know. One last item. The one book I was really hoping to finish in 2017 now doesn't look like will ever be done. It's just too much, too much variety, too much content. There's a reason magazines hire multiple writers each issue, that's basically what creating the Old School Art Book has been like. I even tried to rally the community but just got crickets. Which is a good thing, it lets me know there wasn't that much demand for it. I'm not bummed about it or anything, it came out of a comment someone made to me at a convention when they flipped through a sketchbook I was selling they said "if these drawings had stats on them I could use in my game I'd buy it." Which I thought was an interesting idea. I know even as an artist and fan of art I don't buy that many artist sketchbooks, but if it had more practical use I probably would. Thank you so much for those of you who regularly read this blog. It can be lonely out here in the blogosphere and you don't know if anyone is reading. And when you check your stats you wonder if it is humans or bots? Or how much of each?